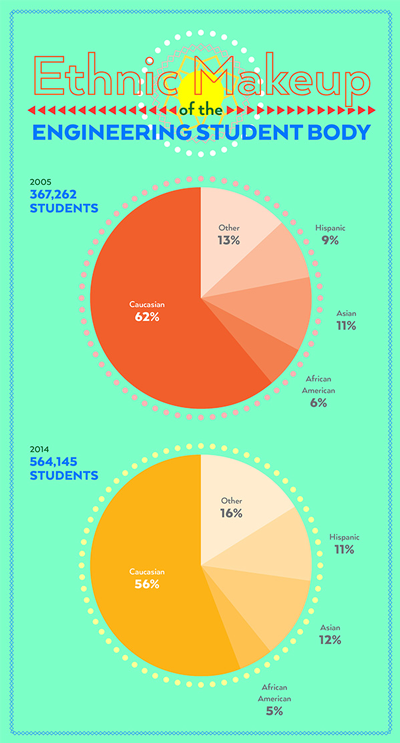 Hispanics and Asian-Americans increase their share of undergraduates. A comparison of undergraduate enrollment data drawn from the 2005 and 2014 ASEE Profiles surveys indicates that engineering programs in the United States have grown more ethnically diverse over the past decade. While the proportion of Caucasians, the largest group, has declined from 62 percent in 2005 to 56 percent in 2014, Hispanics and Asian Americans – but not African Americans – slightly increased their share in the entering full-time undergraduate student population. African Americans’ share shrank by 1 percentage point between 2005 and 2014. It’s official! 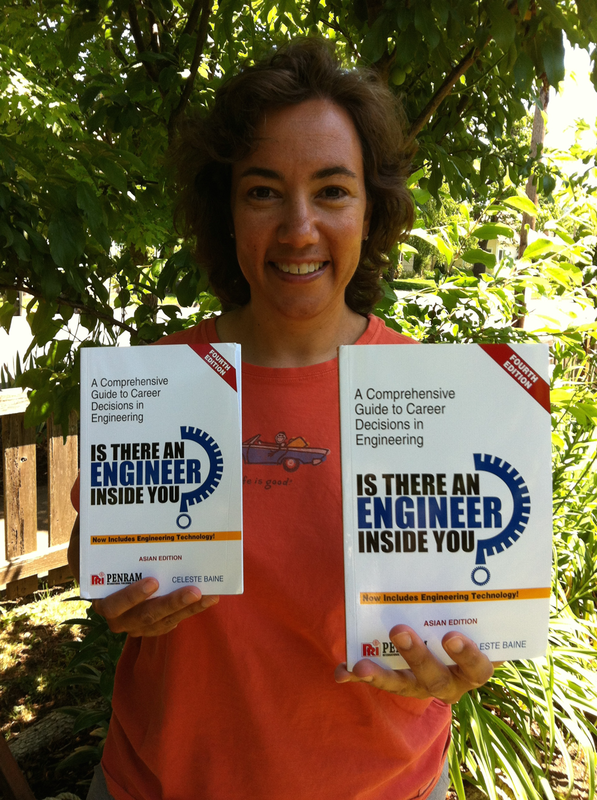 As of May 10, 2015 my book Is There an Engineer Inside You? is available in an Asian Edition in India. It was published by Penram International Publishing in Mumbai. This is a feather in my cap and I couldn’t be happier or more grateful for the opportunity. However, the resounding message, the loudest trumpet, and practical encouragement from this good fortune is to remember to follow your dreams. If you write a book and all publishers refuse to publish it, prominent people refuse to write a Foreword, reviews tell you it won’t sell or isn’t needed — if you believe in what you are doing strongly enough, the fruits of your labors will eventually ripen and roll downhill. My celebration will continue all summer long.